I've been using Sojourn's shampoo, condition, and monoi oil from their Moisture collection for the past few weeks (I wanted to really get a feel for the products before posting a review). My hair tends to appear/feel dry, especially during the wintertime. I wash and heat style every 2-3 days, but the curling and blow-drying can definitely take a toll on my hair, so I was looking for something that would make my hair look healthier again. The great thing about Sojourn products is that they're low in pH levels, which basically means that the formulas aren't harsh and won't harm your hair. They're also sulfate free, and don't contain salt, paraben, gluten, formaldehyde, alcohol, or artificial colors (who needs those anyway?). I really like the scent. It's sweet (but not too sweet; a little floral), light, and doesn't linger, so your hair is left feeling clean. After using the shampoo/conditioner the first couple of times, I noticed that my hair looked and felt healthier. It's definitely softer too. The monoi oil is amazing! I used it before styling and it added shine. None really. However, since it is a moisturizing shampoo/conditioner, my hair feels a little heavier and gets flatter faster. Use dry shampoo in-between washings to help with volume. 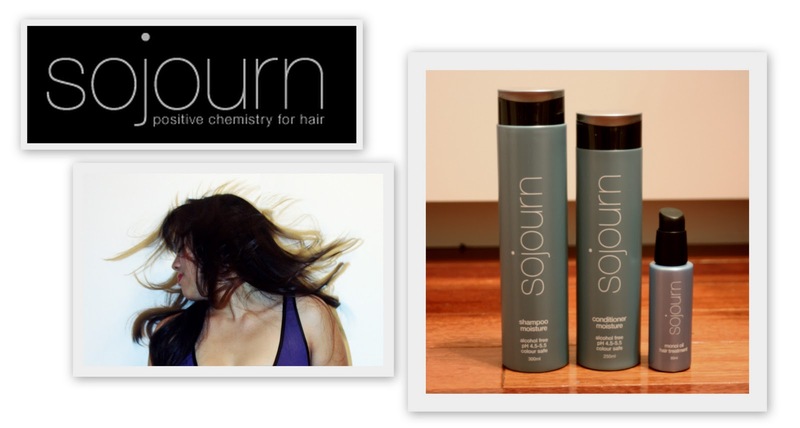 I would definitely recommend Sojourn products! They also have a Smooth, Colour Preserve, and Volume collections, so you can easily find the collection that works the best for your hair. What kind of shampoo/conditioner do you use?